So, its time to review the “Databases for Small Business” – a book from Anna Manning, nicely provided to me by Apress.com for a review. Well, after reading it, I may say one thing – it is an interesting book, covering many topics around a database, but it is not exactly a hands-on book about databases. E.g., if this is the first database book you are reading, you have to take a second one to be able to build some simple database to work with. At least my opinion. The book uses MS Access and Libre Office 5 as an example databases, refers to MS Excel as well. 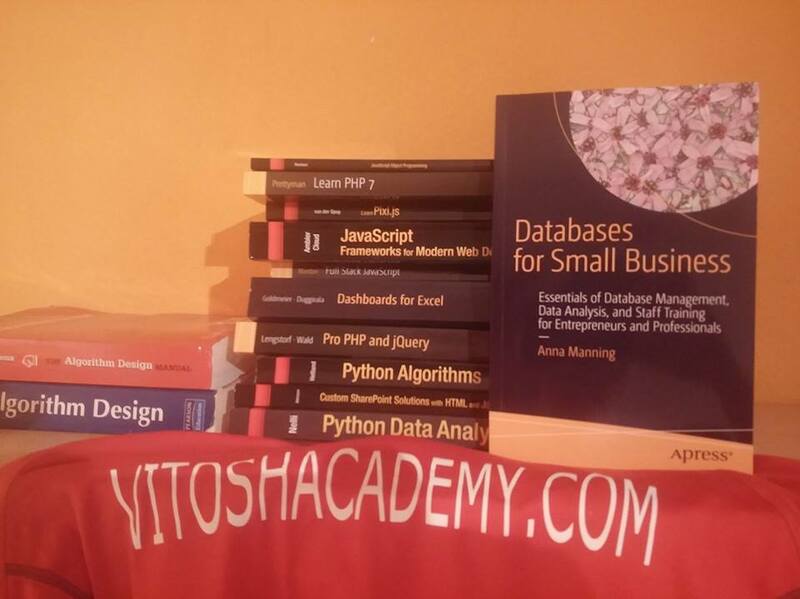 The book is good for people, who do not have clue about databases, to act as an introduction to this world and probably to realize that their business needs a database instead of Excel spreadsheets. The case studies in the first few chapters are well described, and later some procedures for collecting, cleansing, maintaining, searching and analyzing data and database are explained without getting into details. In a really beginner’s way, which may be good for the understanding of a manager. Actually I am really wondering how many stars to give – if you are expecting after reading this book to be able to make and maintain even a simple database alone, I have to probably disappoint you – you will not be. Really no. E.g. the querying in a db is explained in 2 pages, SQL is not mentioned, not all normalization rules are given. However, if you are a manager of a company, and you have never heard about Databases nor you have some IT skills, this is probably the best book in the market to start with – the technical information will really not bother you, and the examples would be understandable. Thus, any grade is really possible for this book. I would not give 5, as far as the example databases are not shared in the net. Thus, my grade is a 4, hoping that you only need the book to get some basic ideas for databases. And you would not try to create and maintain a database based only on this knowledge. It is nice to see, that people appreciate your efforts! Thank you!